Please see below for the latest update from Hashomer Hatzair movements around the globe! Another month of acitivies and challenges is behind us. In the newsletter you are about to read, you will see some of the amazing projects and events that are happening in our movement. We are thrilled about the new Communa in Toronto. 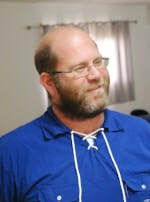 Next week we are going to celebrate in Rio the 70th anniversary of Hashomer Hatzair in Brazil. The event will include a ceremony where ex Bogrim*ot will receive their Bogrim*ot pin. One of the highlights of the event will be a show by Hadag Nachash that are coming especially to perform for our event. In Europe some new Shlichim*ot begin their messima and in Australia we will have a Hagshama seminar run by our Bogrot, Neta the Shlicha and Daniel our English speaking countries department coordinator. The Shlichut Department in JAFI started a special fund together with the Koschitzky family. Thanks to them we will run some amazing programs around the world. We would like to thank both the Koschitzky family and JAFI for this rare opportunity. We will focus in the next three months on building the budget and work plan of the movement for the year of 2019. During the Hanhagot conventions we shall fine tune the goals and missions to the different continents and countries. This new year brings lots of new beginnings on our Hagshama path! Just last week, Bogrim*ot from Canada, made a big move: They decided to live collectively and moved to their new 4 floors house in Toronto. Their process started last June with the North American Hagshama seminar and since then, they have been looking for a home to start their great and meaningful adventure. If this week and the coming one will be about logistics and settling in, this new communa plans on running peulot and discussions for themselves to create the structures that will allow their ideology to be implemented on a daily basis. From shared space, shared money, their role and mission with the Youth Movement, their traditions and how they run their lives... a lot of challenges and interesting discussions are about to take place in their communa! In Israel as well things are evolving fast! A Shomeric Olim*ot event will take place on October 18th in Haifa, hosted and ran by Olim from Mexico and Venezuela to open the much needed discussion on Hagshama for Olim*ot. 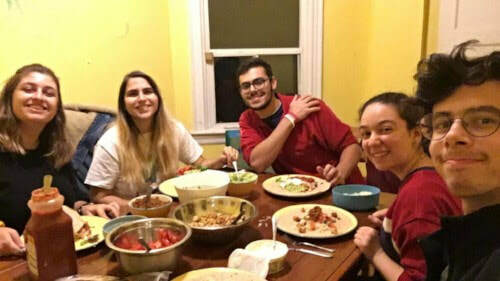 We want to welcome Carly, who made Aliyah from Australia and recently started a collective process with her Kvutza chaver Joel who continues to be our Shnat Tzafon madrich this year. We are looking forward to more people joining our Shomric community in Israel and Shomrim*ot all over the world designing ways to implement their values to fix themselves and the whole world! In recent weeks, activity has started in almost all the Kenim on the continent. After months of summer camps and vacations, the yearning accumulated again, and hundreds of Chanichim*ot returned excitedly to the familiar and pleasant place called the Ken. 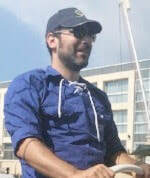 Sofia - Omri Feldhorn-Kimhi finished, as planned, a year later his Shlichutin order to study at the university. 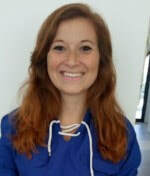 Simone Zemach, who grew up in the Ken as a Chanich and Madrich, will replace him. He knows the city and the community well and speaks the language. 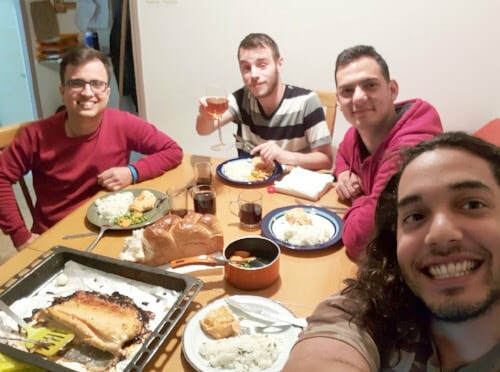 Vienna - After two years of excellence in the Austrian Ken, during which the Ken expanded, the whole family - Roni, Inbar and Carmel decided to return to Israel and to fulfill themselves at Kibbutz Nir Yitzhak. In the coming year, William and Samuel will lead the Ken. In recent years they have been active Shlichonim, and have therefore moved up now to a greater challenge. Brussels - After more than a decade as the Shaliach in the movement's largest Ken and after leading it to new heights, Tal Eitan is training Matan in the next few weeks in order to fulfill the position with excellence and gradually get the "keys" that are needed to lead the movement. I would like to take this opportunity to personally thank Tal, Omri and Roni, and to take off the hat for their dedicated work and dugma ishit (personal example), and I hope to meet them in the future as an active part of the Shomeric community. I VISION - In mid-October, Shlichim, Bogrim and Chanichim from Rome, Warsaw, Paris, Sofia, Hungary and Israel gathered for a conference of the Diaspora Department of the World Zionist Organization. The conference took place in Budapest and included lectures, meetings and discussions on a series of current issues concerning the challenges facing Zionism and the State of Israel. The conference was fascinating and well organized and contributed to all the participants who were part of it. 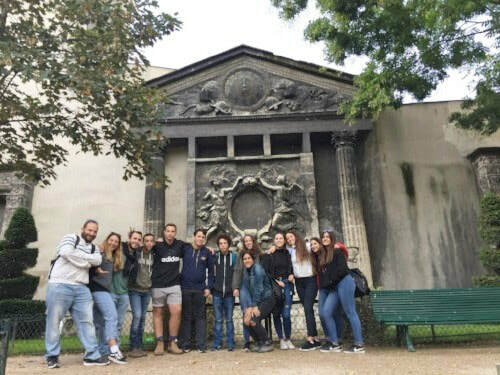 Youth delegations from Israel - During the Sukkot holiday, a delegation of youth from Gan Shmuel and Lehavot Haviva arrived in Paris. For a week they met and cooperated with their French counterparts. Together, they celebrated the Kens holiday, held activities, and volunteered with the elderly. This is the third year that this significant meeting has taken place and the echoes we receive from both sides are very positive. Very soon, a similar delegation from Shikma will arrive in Vienna. 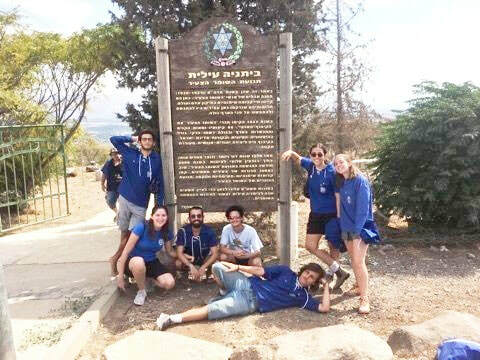 This direct connection between the youth is at the core of the connection to Israel and to Israeli society on the one hand and to Diaspora Jewry on the other, and we are working to promote such cooperation with other Kenik and Kibbutzim. The holiday season is a central, inspiring and rich period in Latin America. This is a time when the Kenim are holding celebrations, events, lectures, panels and meetings for the whole community. Among the many events on the continent, I would like to share two unique events that took place in Rio de Janeiro. The first is the launch of Mariana Temido book, a graduate of the Rio movement, our continental secretary and only 23 years old. Mariana collected, studied, wrote, translated and published a book about 100 years of women's leadership in Hashomer Hatza'ir, from all over the world. The fact that a leader in the movement has taken such a personal project in the search for the female voice in a movement that has not always been heard, has studied the field of feminism throughout the history of the movement and has been followed by chanichim*ot and bogrim*ot from all over the world. The book is a great achievement and a source of great pride. We are already working on translating it to English. The second event is the launch of the book "Strong and Valuable" - 70 years of history and memory, an event that took place in the Sukkah of the "House" in Rio. The Ken was full of generations of Shomrim*ot who were part of the history of the movement. It was exciting to see whole families, three generations who share love for the movement. The presence of many community leaders at the event reinforces the book's message about the past and present weight of the movement in the community life in Rio de Janeiro. Many of the shomrim*ot have worked hard to make the dream a reality, and yet I would like to mention two founding names, Paolo Geiger, one of the leading ideologues and movement leader, and Andre Prixo, who studied and authored the book. The dialogue between these amazing people and the enthusiastic audience that filled the event are further proof of the vitality of the movement in Rio. I fulfilled a promise I made when I was on Shnat: To visit Hashy in Australia! I got ready for my first trip to Australia to visit the Ken and the community, and to get to know the local food! 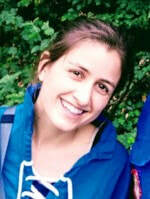 Meanwhile, Carly Rosenthal arrived on Aliyah in September! 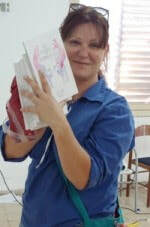 She is living with her Kvutza-mate Joel and they are making plans to build incredible things in Israel! Solidarity of Nations - Achvat Amim just began its 10th cohort! 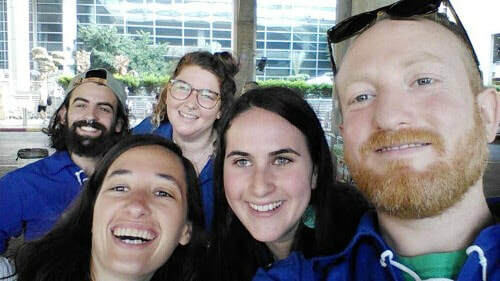 Nine wonderful people have been living communally in Jerusalem, learning in a participatory learning process, and beginning their placements with human rights organizations, anti-occupation groups, and coexistence projects in and around Jerusalem! You can keep up with them on facebook too! ​Education DepartmentAs we mark time of transitions in our Hachshara programs, we brought to you some words from our Madrichei Shnat Hachshara, Eduardo (Fish) Fishbach and Joel Kaufman. Shnat Hachshara Darom 2018 finished!! 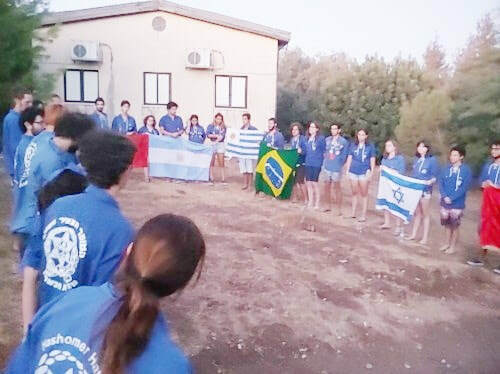 This year we had kvutzot from rgentina, chile, uruguay and brazil had a successful process in the shnat, each stage brings significant knowledge, new experiences as well as new friendships in educational aspects as in the experiential aspects, During the program we also face stages with more challenges that faced together and were overcome by coming out stronger and more united. Personal growth, maturity and leadership reflect a successful coherence with the educational objectives of the program. Shnat Hajshara is a place to think about the new challenges that reality presents to us, and to set the roads with the objective of continuing to be relevant for the tnua and for our communities. We wish you a happy return and a lot of success in your next projects. At the very top of Bitanya, the settling place of the first Kvutzot of Hashomer Hatzair, we held the ending ceremony of Seminar Hagshama for the current Shnat groups. Standing at the top of this historic place, this moment represented both past, present, and most importantly, the future of our ever-persisting movement. The seminar, a critical and important highlight of the program, came at two very important times: One marking the beginning of the Tzafon kvutza’s journey, and the other marking the end of the Darom Kvutza’s process before they would return home. Despite all our different realities, perspectives, languages, and life stages, we shared one thing in common that encompasses our experience throughout the seminar and throughout each of our hagshama processes: The struggle. The path towards solidifying our values into action is one defined by struggle. We struggle with our values, we struggle with our identities, we struggle with our history, we struggle with each other, we struggle with the world, and we even struggle to hike up to Bitanya in the heat of the Israeli sun. But it is through this struggle that we have formed unshakable bonds of trust and friendship with one another, and created a new space, an alternate world in which we can fully realise our true selves. In these friendships formed through struggle we see the potential of a better world right before our eyes. Most importantly, we can see that it is not just some dream. It is real. This is what it means to actualise our values. We ask, “how could we possibly change the world?” without realising… we already have! And what better to affirm this than to plant our feet in the ground and declare our vision for a better world, yelling “Chazak Ve’Ematz!” together as a unified world movement atop of Bitanya, the physical symbol of the first magshimim*ot. 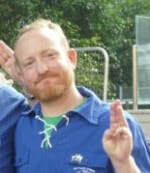 This November we will hold our first European Mamshichim*ot Seminar in Rome. This seminar is catered towards all the Shlichonim*ot as well as friends who have left the movement and are looking for their way to contribute their talent and their motivation. So far we have 16 participants, so in case you are not one of them, this week is your last chance to sign up! Talk to your Shlicha/Shaliach about it. You will learn and discuss what innovation and design thinking means in a very practical way as well as learn what are the steps from an idea to its implementation. Project Natan is a new program in collaboration with Hashomer Hatzair World Movement and NATAN the humanitarian Aid organisation. 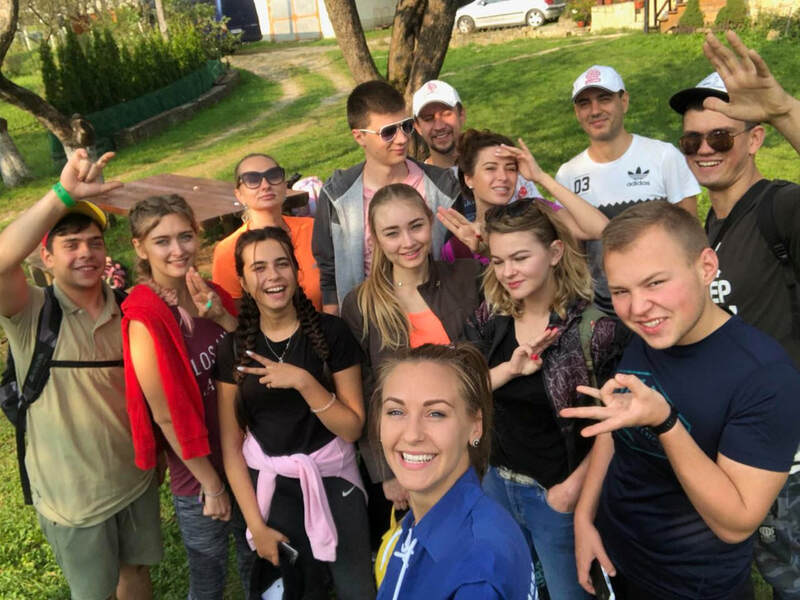 The Project offers the chance to learn Emergency Response, Humanitarian Aid and Global Development in an intensive 4 month program through practical and theoretical learning in Israel. Project Natan will be part of the MASA Israel Journey which are the leader in immersive international experiences in Israel for young adults (18-30). Hopefully by now you all know about the unique Masa Israel for adults that the Hanhagah is planing! We will meet with minorities, learn about historical as well as political aspects of the country and of course much more. The trip will take place from MARCH 3rd - MARCH 10th 2019 and will cost 1500 EUROS (if 15 participants will take place). 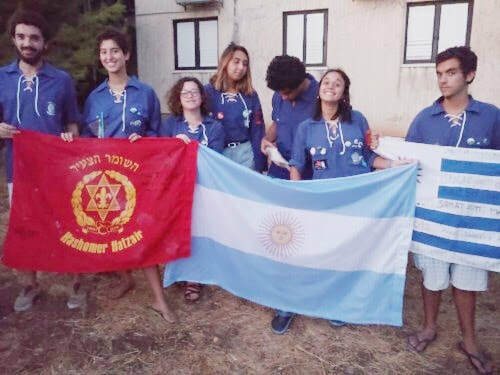 The world mazkirut has, in the past month, welcomed two new mazkirim*ot from Latin America. Welcome to Nadu from Buenos Aires and Rafa from Rio De Janeiro, thank you for joining our team. Firstly, we would also like to say a big retroactive chag sameach for the high holidays. This time of year is always very hectic in the Jewish world, and we hope they passed over you with good food, happy memories, and warmth with the people around you. Secondly, we would like to update the world on our current plans! 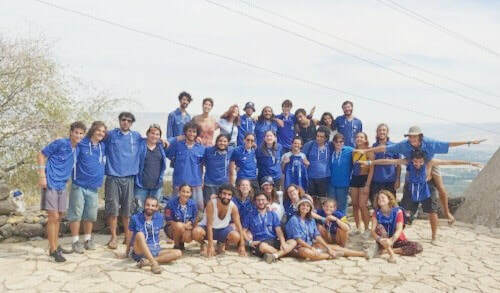 Our goal as a world mazkirut is to strengthen the connections between kenim, so that the feeling of worldwide community that exists in our movement continues to grow. The ways we intend to do this currently are simple but we think they are significant. We would like to create an electronic choveret that provides access to information about every ken so that education about the world movement is simpler and accessible, and we would like to facilitate a worldwide event, that continues over 24 hours around the world. We would like this event to encourage interaction between kenim – whether it’s a skype call between chanichim*ot of the same age, or a snapchat story, or receiving a pen pal in another continent, or whether it’s simply a peula that is happening in multiple kenim at the same time. This event is not so close to the present, but we’d love to hear your thoughts on anything we can incorporate into either the event or the choveret. Feel free to email hhchinuch@gmail.com with any thoughts you’d like to share with us!